When I first discovered Pinterest, I could not believe all the images, info, everything, absolutely everything that was available at the stroke of key and still is with more! 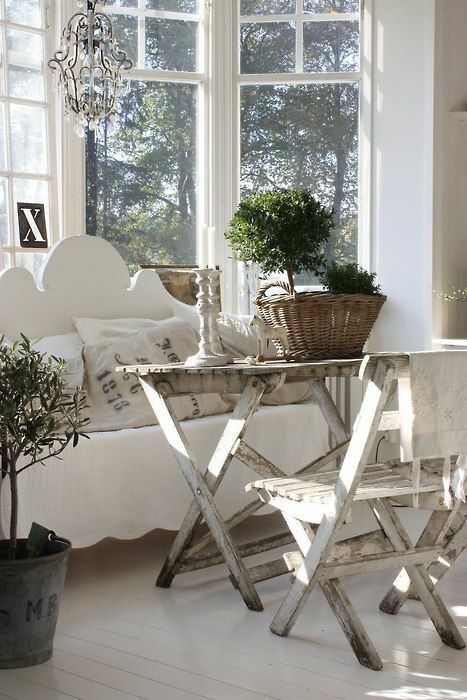 I first fell in love with the Shabby Chic/Cottage decor. I still love some of it…Got over the “frilly” part. I think this pin below was maybe close to my first round of pinning and I’m surprised how much it would be considered the “New Farmhouse” decor, even though I it found when searching for cottage decor. I enjoy going back through old pins and discovering that not much has changed when it comes to me pinning.